Weekly Enrichment programs continue all year long at the Pratt Nature Center for children of all ages. Watching the leaves turn colors and harvesting vegetables in the autumn, snowshoeing in the winter, planting, growing and catching frogs in the spring and summer….we do it all and we do it outside! Make sure you are wearing seasonal clothes and shoes that can get wet and dirty. We NEVER go around a good mud puddle! Call 860-355-3137 or email info@prattcenter.org to reserve a spot. Payment plans and scholarships available for most programs, contact us to discuss what might work best for your family. Sign up is open year round (No June, July or August). Email info@prattcenter.org for more information and to reserve a spot. We believe that children, from a very young age, should have a place to play, wonder and find peace in the outdoors. 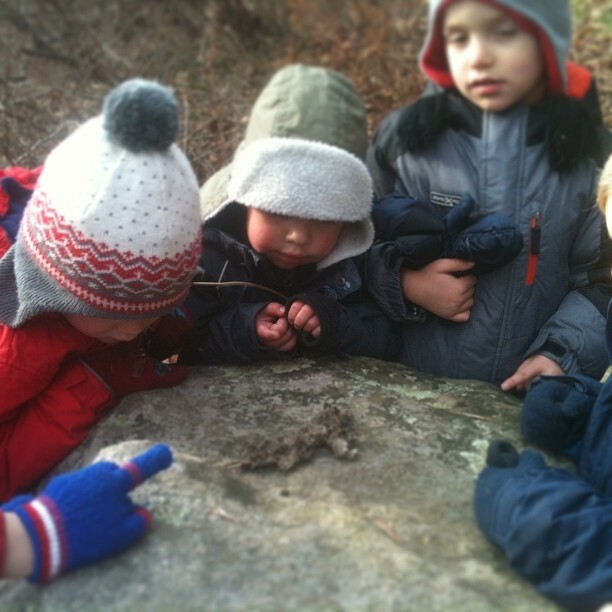 Our pre-K drop off program puts these curious kids outside with the greatest teacher, nature. We explore and ask questions, figure out how things fit together and how to respect every living thing. At the same time, we’re engaging those motor skills, developing our balance, building relationships, growing our independence, our self-reliance and so much more. 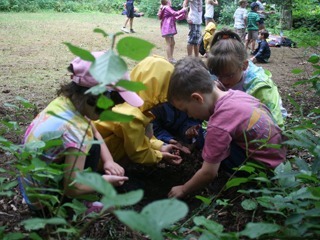 We stomp through the mud puddles, climb over or under the logs, and dance around the spider webs! 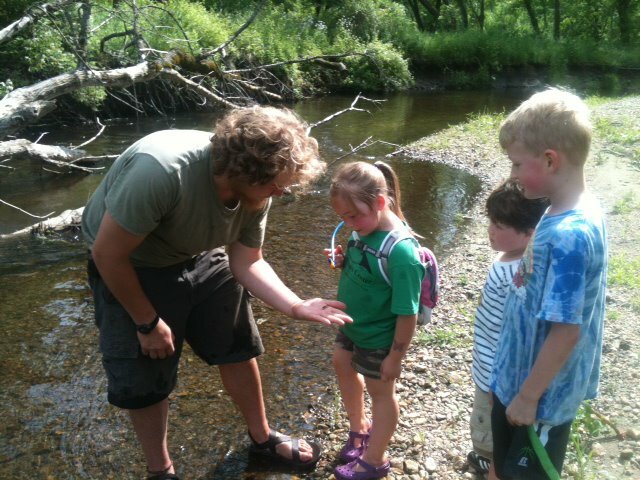 River hikes, gardening, caring for our animals, field games, snowshoeing, sledding, art, songs, stories and so much more. We move at our own pace and let our curiosity guide us. Bring a lunch and be prepared to be outside in all kinds of weather! *Updated 10/1/18 Sprouts will meet on scheduled days off for New Milford Public Schools: 9/10, 10/8, 11/12, 11/22, 12/24, 12/27, 1/21, 2/18, 4/15, 4/18, 5/27. Parents please be aware that on these Vacation Camp days, the Sprouts may be part of a mixed age group. Hours and cost do not change for Sprouts on these days. No June, July or August. $40 for a month of one of the Monday, Tuesday or Wednesday sessions (certain months are prorated based on calendar). *Depending on the school your child is being bused from, the start time may vary. Staff will be here to greet students off the bus even if the bus arrives prior to 4:00. Parent drop off is at 4:00 pm, if not arriving by bus.